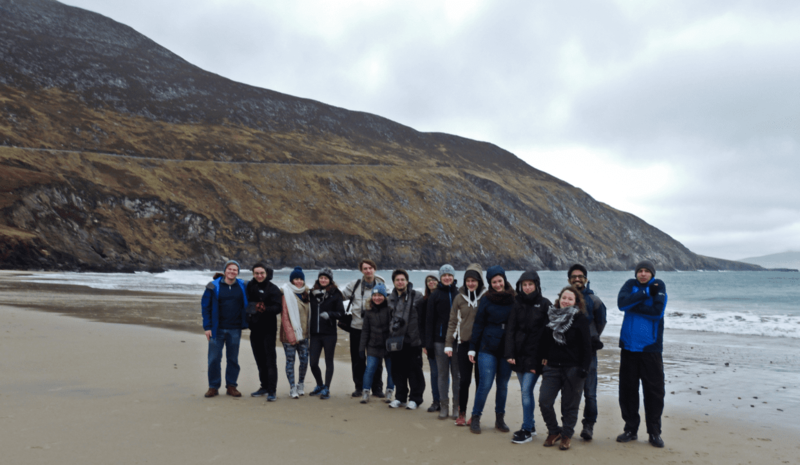 Jump aboard our spectacular Wild North experience as we take you along the most amazing wild landscapes of Ireland’s northern Atlantic coastline for the adventure of a lifetime. On this exhilarating discovery of Ireland’s Wild Atlantic Way north route, we will take you off the beaten track to unearth the real Irish culture, sample many culinary delights on route. 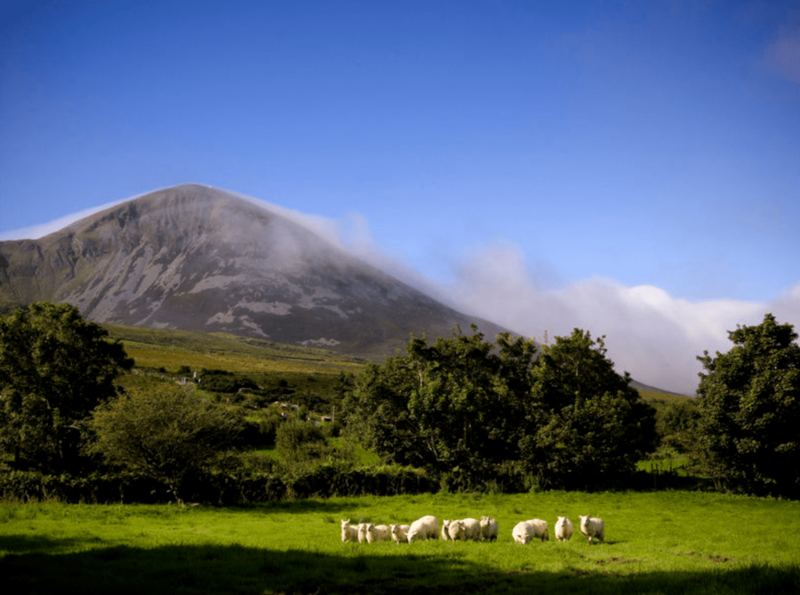 You can experience amazing adventures such as cycling on Inis Mor island, hiking to the top of Ireland’s holiest mountain, Croagh Patrick, visiting Ireland’s most northerly and sunniest place and setting foot on the wild and famous rock formations at the Giant’s Causeway. Get ready for the best Irish experience that will simply blow you away. SCHEDULE 10AM – Please arrive by 09:30 AM for a prompt departure. The listed below itinerary is for the current season. Given the unpredictable Irish weather, the respective daily schedule could vary to make you the best travel experience possible. Departing from The Ashling Hotel, Parkgate Street, Arran Quay, Dublin 8 at 10am. From Dublin’s fair city, we set our compasses due west, making our way through the lush midlands of Ireland in search of the wild Atlantic coastline and the Bohemian city of Ireland, Galway. Take the opportunity to explore and wander its bustling streets, sample its famed culinary delights and traditional music scene. We jump from mainland Ireland to one of its most renowned island, Inis Mór, meaning big island. 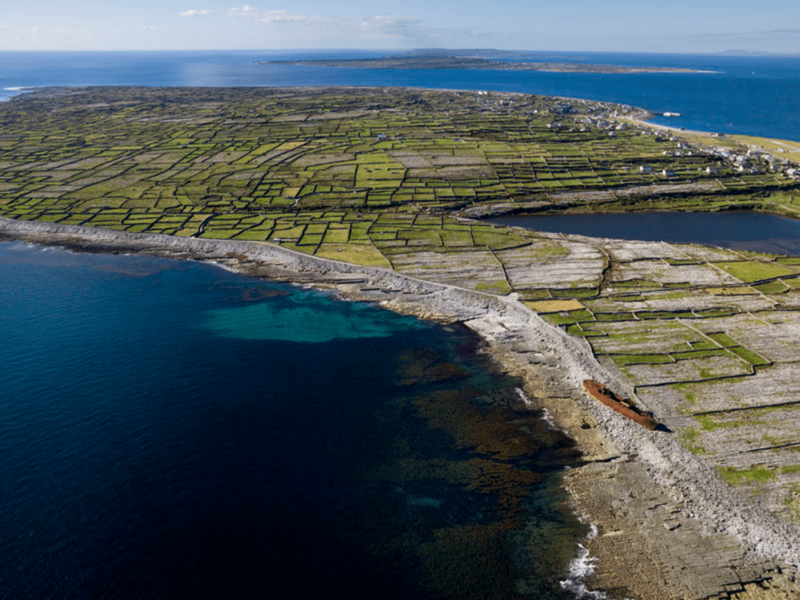 It is the largest of three islands that make up the Aran Islands. Once we arrive on its limestone shores, you can either explore the island by foot, bicycle or jaunting cart, in which you can experience the island’s magnificent landscape of rocky fields, wild Ocean views and incredible monuments of Christian, pre-Christian and Celtic mythological heritage. Take in a visit to one of the most famous of them, Dún Aonghasa, which is a breath-taking fort that was built on a high cliff some 100 metres above sea level. 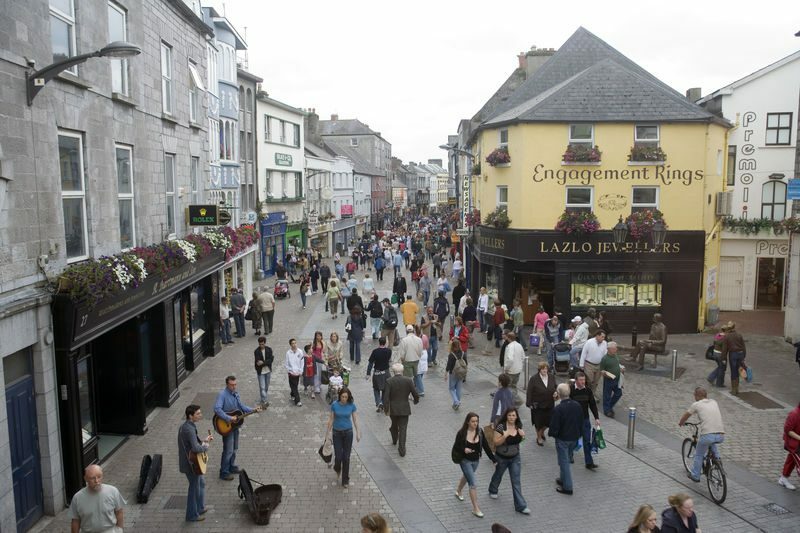 That afternoon, we make our way back to mainland Ireland before heading due west to the colourful coastal town of Clifden, where you can sample its famous culinary delights and traditional music nights. 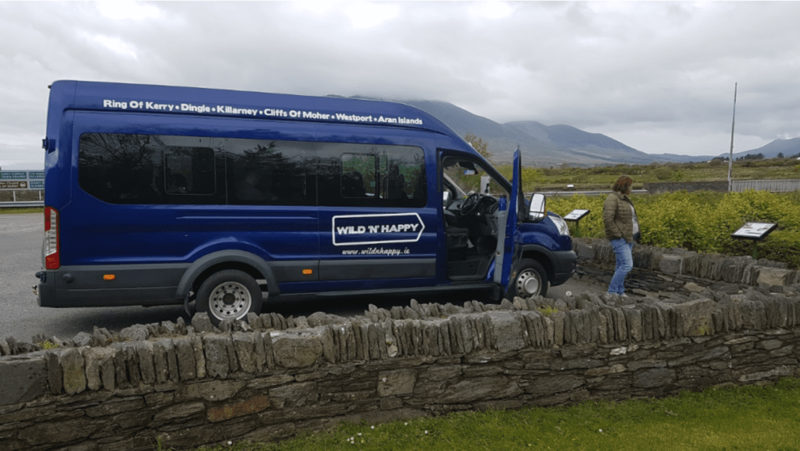 Today’s adventure brings us to Connemara National Park and Kylemore Abbey. We will explore these majestic destinations, full of colourful scenery and wonderful history. In Connemara National Park, take the opportunity to hike to the top Diamond Hill before we head to Kylemore Abbey for a bite to eat and time to explore its incredible history and unique gardens. Later that afternoon, we commence our journey northwards passing Killary harbour and secluded picturesque lakes that line our path to the colourful town of Westport. That evening, we will experience this vibrant towns legendary musical talent and culinary exploits. 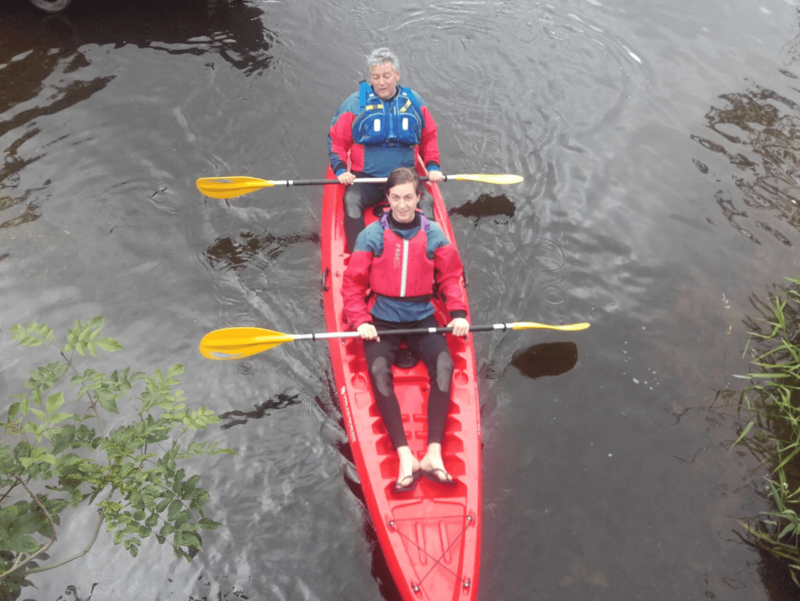 Departing Westport, we make our along the northern wild and rugged coastline of Mayo before arriving in Donegal Town, known as the fort of the foreigners. We will take a stroll along the dramatic wild coastline at Downpatrick Head where you view a spectacular blowhole that plummets down to the wild Atlantic ocean, the ruins of St Patrick’s church building, a stone cross and the incredible site of Dún Briste (broken fort), a lone sea-stack standing close to the edge of the cliffs. Afterwards, we make our way towards Ballina, where we will stop to have lunch. That afternoon, we make our way north towards Donegal Town via Bundoran where you can take the opportunity to dip your feet into the wild Atlantic Ocean or catch some of the most renowned waves in the world. Feeling refreshed, that evening you can sampling some of Donegal’s best culinary delights and music traditions. Portrush is our end destination today, as we head north exploring the wilds of Donegal with magnificent views of dramatic cliffs which are although less famous than the Cliffs of Moher, can reach almost three times higher, 601 metres (1,972 ft) at Slieve League. We continue our journey around the dramatic northern tip of Donegal towards Glenveagh National park and Castle. Set in some 16,500 hectares of County Donegal mountains, you have the chance to discover picturesque lakes, wild glens and woods, a large herd of red deer and the 19th Century Glenveagh Castle. That afternoon, we make our way to Portrush, where you can relax, unwind or simply gaze out at the majestic coastal setting before your eyes. Today’s adventure is a real giant in many ways, as take you to the dramatic coastal setting of the Giant’s Causeway, a UNESCO World Heritage Site. Its setting is famed for its unique rock formation of of about 40,000 interlocking basalt columns, the result of an ancient volcanic eruption nearly 60 million years ago or being Irish of course, we have a different version of how the causeway was really built which involves two giants, a fight and a bridge. We won’t spoil the ending for you now as the story is best told at edge of the bridge!! Afterwards we make our way to Belfast City, where you can have lunch, wander around its famous streets or take the opportunity to visit the Titanic museum, explore Belfast with a Hop-on Hop Off City Tour or take the amazing Black Cab Taxi Tour experience. That evening, experience Belfast’s vibrant city legendary musical talent and culinary exploits. We depart Belfast and make our way back to the capital of Ireland, Dublin, where you have the opportunity to visit many of its historical attractions, jump aboard the Dublin Hop-on Hop-off City Tour or simply relax and explore its vibrant streets. It is also our journey’s end, where we bid a fond farewell full of happy memories that will last forever. Remember, Ireland is now your second home away from home!